Nowadays, environmental protection already starts with the planning of buildings. Wherever STIHL builds in the world, we prioritize environmentally friendly and resource-conserving technology. The new STIHL Sales Center Austria sets standards for industrial construction with roof gardens, zero consumption of fossil fuels and almost 100 percent green energy. 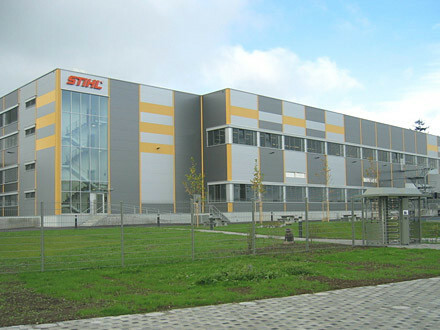 STIHL has invested approximately 14 million euros in the sales, logistics and training center in Vösendorf near Vienna. The new showcase site meets the highest standards in technical and ecological terms. The innovative concept is designed for a maximum reduction in operating costs as well as CO2 -free operation by means of regenerative energy sources. 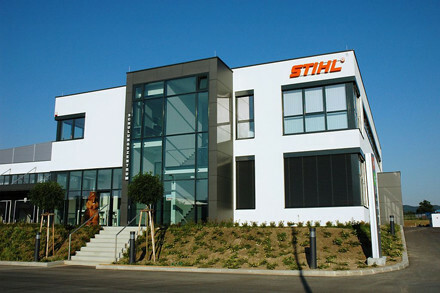 With the completion of the building extension at the chain plant in Wil, the STIHL Group's first combined heat and power plant went into operation. Engines powered with natural gas drive generators that produce electricity and utilize heat from exhaust gases and cooling water. The heat created in the generation of electricity is used in winter for heating purposes. In summer, a heat exchanger is used to create cooling from heat. Combined heat and power plants are able to use 90 percent of the primary energy applied. This represents a savings potential of about 40 percent compared with conventional technology. Furthermore, a combined heat and power plant produces 60 percent less CO2 than other power plants. With this new plant, the STIHL Group's most innovative energy technology has been installed and a significant contribution has been made to reducing energy consumption and costs. The new logistics building of the STIHL chain plant in Switzerland uses an innovative geothermal concept for energy-saving heating. The goal is to reduce consumption of primary energy by 48 percent by using regenerative energy sources, and to reduce CO2 emissions by 80 percent compared with conventional technology. The decision was made to use heat pumps, because they can be applied both for heating and for cooling, and because they take their energy from the earth. The electricity required for the heat pumps is also supplied from renewable energy sources such as hydroelectricity. 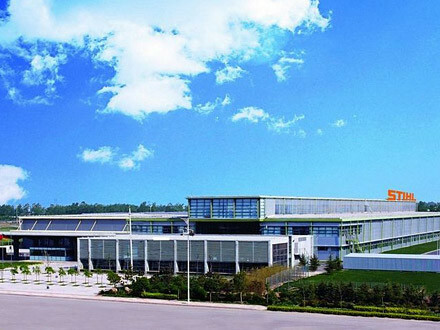 At the STIHL plant in Qingdao, China, an ultramodern plant extension went into operation in 2013. The three new building sections, which comprise production space, offices and a canteen, are very well insulated and are primarily heated and air-conditioned with geothermally heated and cooled water. Heat recovery from the waste heat of factory halls, offices, test cabins, compressors (and from equipment to be installed in the future) is centrally integrated in the building management. The heating of industrial water is also part of the system. Material transport between buildings takes place on conveyor belts, eliminating the need for large gates between heated and unheated areas. The entire plant is illuminated almost solely with LED lamps. The chain plant in Switzerland has put the STIHL Group's first organic thermal power plant into operation. The plant extension at STIHL Qindao, China, uses ultramodern technologies for sustainable building design. 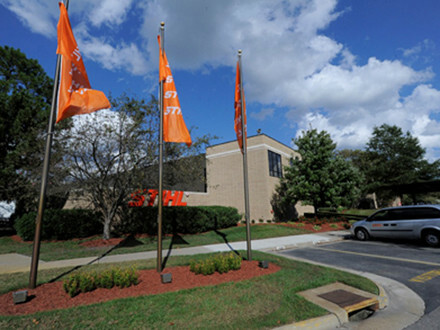 STIHL Incorporated in Virginia Beach, USA, uses wind turbines to generate electricity.